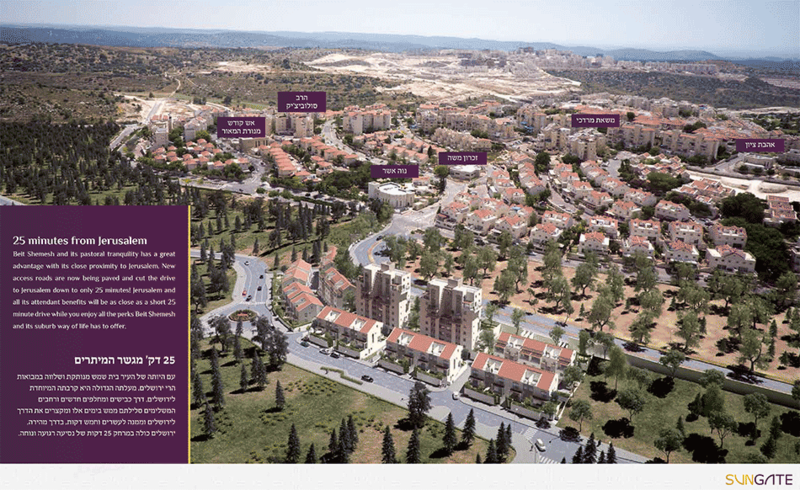 SunGate is a new development of 64 units, located in the Mishkafayim neighborhood below the intersection of Nachal Refaim and Hayarden, adjacent to Sun Gardens in Ramat Beit Shemesh Aleph. The official street address is on Rechov Harav Kook. 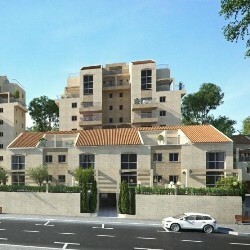 The project consists of 24 semi private homes, 28 apartments (3, 4, & 5 Bedroom) and 12 triplexes. 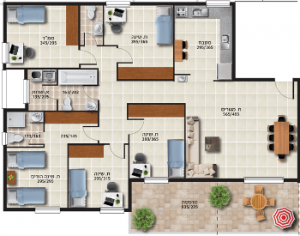 The project is being developed and built by the Etz Hashaked Construction Company. Construction began in February of 2016, and took about 3 years to complete. The first units ready to move in to, received their occupancy permit (Tofes 4) in January 2019. A few homes are available for sale from existing owners. If you would like more information, please schedule a meeting. 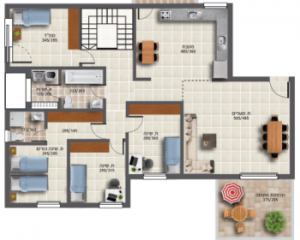 SunGate 5 Bedroom Apartment – Last One!